Post a comment on the blog about your favourite ‘Sugar n Spice’ recipes and you could win R4700 of AMC cookware! We would love to hear about your cooking triumphs, disasters and the your most memorable AMC moments…. I have been using †ђε̲ common Stainless steel pots and ђave experienced a few disasters because †ђε̲ food tends to catch at †ђε̲ bottom of †ђε̲ pot due to †ђε̲ moisture evaporating too quickly! I tried one of †ђε̲ AMC pots given to me and ♏y lamb curry turned out Perfect!! I did no̲t need to put ι̥n̲ water as it retained †ђε̲ water and there was sufficient gravy! I was amazed wî†ђ †ђε̲ pot! Hi Radeshni – my mom is just the same…loves her pots and has passed on that love to me…Your mom is right and I am sure that her food was delicious! Curried prawn penne is my favourite, delicious tastes exploding in your mouth!!! Favourite recipe red velvet cake. I love the Lamb pillau recipe. I have always been petrified of making rice dishes and I would cringe when my mother-in-law would present her delicious lamb briyani which tasted sublime. The lamb was gently fragranced with saffron and the rice was al dente with just the perfect scent of a successful briyani. My rice phobia started a few years ago when I lived in Cape Town and I bravely invited a few friends for Eid dinner. My husband suggested that I make briyani and being the powerful diva, I happily accepted the challenge. Don’t get me wrong, I can make a wicked tiramisu and gorgeous roast chicken but when it comes to briyani, I am always in the dark. Thankfully, my guests were White so they relished anything that tasted Indian. The look on my mans face wasn’t positive and it was only when I tasted the soggy mess, that I understood by he looked s gloomy. Fast forward many experiments with rice recipes and this delicious one supplied by the culinary genius,Yudhkia,I have become a force not to reckoned with. In fact this Eid I am confident enough to churn out a delicious pilau much to the delight of my mother-in-law. Eat that lady! I must say that cooking with AMC pots has made a real difference in my own culinary adventures. Rice cooks perfectly mind you and I can present my dishes in style. There are so many recipes which i have tried but I will choose the red velvet cake. I got a lot compliments and everyone loved it. I love baking and when the end product comes out perfectly it is all well worth the effort! The sponge cake with honey and yoghurt is a favorite of mine. It’s so easy to make. The results are fantastic. Light and airy….. Yum yum……..
Love the sponge cake with honey Nd yoghurt. What an easy recipe. The cake is soft and airy… Delicious! I have done the same for my kids…have three sets tucked away and its the best gift! My mom bought her set in 1970 and it now lives in Canada…AMC for life as they say! I would have 2 say the red velvet cake and lamb breyani, were my favourite so far. Two of my favourites too! Love this lady and her cooking talent. Have tried so many of her recipes and all have been successful. Was never able to gt the texture of roti correct until I bought curry me home. Have learnt so much from her. I loved the Soji Squares and the creamy garlic prawns. Would love to win this AMC cookware..
Creamy garlic prawns! Yay,I’m so thrilled cos i was mentally planning my Eid lunch menu and wss so uninspired by the usual dishes….until i saw yr prep of Creamy Garlic prawns…and wow! I am now so hyped and excited bout my preparations. Thank you Sugar n Spice for renewing my enthusiasm in cooking up a storm for my family. You could get an easier recipe than this and it is simply deliciously…serve it with some crusty french bread to mop up that delicious sauce! First time I watched your programme on Saturday and I loved everything you made but the one I really really loved was your Creamy Garlic Prawns. What can i say ….You show is absolutely Awesome and i do not miss it for anything . Love all your receipes and download all your recipes and specially filed under S&P receipes ….I tried a good few receipes and they never let me down…. My Favourite Creamy Prawns and Your Red Velvet cake .Thanks for an Awesome show . Its a pleasure Prinisha…thanks for watching the show…hope you give the garlic cream prawns a try – they are simply delicious! Not to mention easy to cook! I love the burfee and naan khatay recipes. So easy to make. A definite addition to my Diwali treats. The AMC pot with the red knob looks awesome. Love your live shows. Haven’t missed any to date. Simply love the res velvet cake! My kids love it so much, they want that as their birthdsay cakes and they are 4 and 6! I only cook in my AMC, was lucky to get get the universal set as a wedding gift from my mom. And I get the best paneer when boiling the milk in my AMC, not sure why or how but the end result is ao much better! Hello Reena! Dont you love that the food got healthier and that the washing up is easier too…I really don’t like cleaning up since I make such a mess!! Good luck for the draw! burfee looks very delicious. will definitely try it for eid. Hi, its the first time I have watched your show. Its so great. I love the idea of the parda biryani and will be trying it out for eid. Hope it comes out as beutiful as yours, oh and i will be getting my daughter to try out your naan khatay recipe. Thanks for great program. will be sure to catch it again. Zainab, did it take much convincing to get your daughter to bake or is she a budding chef??? Good luck with the breyani….its worth the effort…looking forward to hearing from you and your daughter. 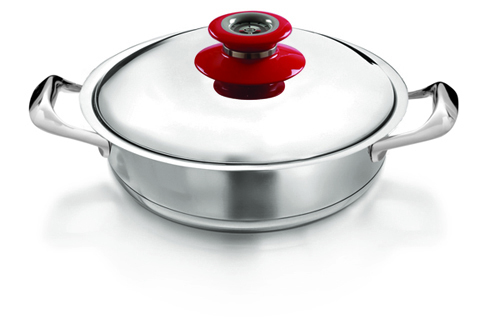 The gourmet range is just so funky and fresh with metal handles so you can pop the pots into the oven! I am also an AMC fan…so glad we have that in common! So easy and soo soo delicious! Hmmm…I have played with this recipe a fair bit….first I cooked the mince but it turned out too dry…the raw mince in the dough works nicely! Its a pleasure to share the recipes with such amazing people! I enjoy approach used for the parda biryani I would like to try it, it seems very old school. Hi Ridwan, this is how breyani is served in most of the top notch restaurants in India! It is pretty old school and also delicious! I saw Saffrontv for the first time on sunday 28-07-2013. I was so impresed and happy to see food and baking ingredients. I immediatly loved the Chicken Korma. Wow thta looks delious and i wanted to try it for my family. I did not have the full ingredients but i tried to prepare the meal. I am taling you if i had every ingrediients it will have been very perfact. I love this tv show. Hello Nomthandazo..Welcome to the Sugar n Spice world! Hope you give the korma a try soon! Keep watching! I am fascinated by your art , finesse and style of cooking. I watched you for the first time this weekend and you were brilliant. I would love to try out your recipes and wish I could own AMC cookware.All your recipes were divine. Cant wait to try them. Hi Neritha! Welcome to my blog and my little Sugar n Spice world…I hope you enjoy the recipes! Happy cooking and fingers crossed with the competition! Can’t wait to try the divine recipes! Red tops on the pots looks extremely attractive. Hi Pricilla…these are the new Gourmet AMC units and they add a bit of fun to any kitchen….I have blue and orange lids too! Thanks to you Yudhika I was able to impress my lovely wife on her birthday. She is just crazy about prawns, especially the so called “restaurant style”, that is with garlic butter and all…done to perfection. I, never thought that I would ever be able to create such a sumptuous and may I add romantic treat at home. But lone-behold, it was when I saw how easily and effortlessly Yudhika made it, I decided to give it a shot as well… It may have not tasted as great as Yudhika’s dish, however, it sure was delicious and I have my wife’s endorsement to prove that. Most of all I did it all by myself,(it was a surprise…) without making such a big mess in the kitchen…or burning anything. PS: I also cleaned up after, much after….yeee ha!!! Love, love the naan katai recipe! Tried out the recipe with my little ones and now we are hooked. Thanks Chef, your recipes are always so good to try out. Love all ypur recipes “curry me home” is my favourite cook book—made da naan khatay and gulaab jamun–delicious! Will try da saffron coconut cake this weekend—would love to win amc pots—-pleeessseee!!! Don’t have any–tasted cooking in these pots my mum in law has entire range__there is nothing lilke these incredible pots! Absolutely love the Chicken Korma, leaves my hubby licking his fingers and his plate after. All your recipes are just absolutely divine. I received my first AMC pot from my Mum, it is so special to me and all my curries come out lovely in it…wouldn’t use anything else. Chicken Korma was so easy to make yet so tasty. Will definately use that recipe again. The family loved it. Fresh Cream Almond Burfee..sounds yummy! .. a must try for me as i am so used to the conventional way of doing it. Breyani’s are my favourite dishes to prepare. Watched the episode on the Parda breyani this morning and am definitely going to try it out! It looks deeeeelicious! If u looking to make the best thick gravy curry the best pot to use is an AMC. No matter how good a cook u can be but without an amc pot there always seems to be something missing. Best curries best briyani’s are all made in an AMC. 😥 wish I had my own set. I gave the garlic cream prawns a try last night – they were simply delicious! Not to mention how easy to prepare! Hi my fav recipe of Yudika’s is her chicken korma! Loved it, its now my husbands fav meal! Roti paratha is definitely my favourite esp after I teased my mother and aunties that they have been making rotis for years using the rolling pin………….but roti parathas just ur hands. Family really did enjoy the parathas especially mum. Having moved to Johannesburg it was a huge adjustment for me in trying to achieve the quality of food and taste when compared to Durban. I really sincerely missed home food” home is where the heart is”….Finding the right fresh spices was a total mission for me until I accidently stumbled accross Yudhika show on Saffron Tv. Being a career lady its though making up my mind on what to prepare for family and friends, and when you do stumble across recipes its impossible to find all the spices in a short space of time hence I had a tendency to keep to curries and fries….You know how families are ” your mother is a good cook, we expect the same quality from you….blah blah blah” and they forever so ready to pounce on you when things go wrong and oooh the aunties love to gossip when the food is bad etc etc etc……Honestly Yudhika’s recipes are simple and easy to make and the variety of recipes she offers is flexible its like choosing food from a restaurant menu….. She has helped me grow in the kitchen environment to a more skilled human being. My favourite recipe is the sea food recipes , chicken recipes ,lamb recipes,veggie recipes and not forgetting the decadent dessert recipes….Its really hard to choose as each recipe has its own unique flavours…. Currently I do not possess a good pot set, my pots never lasts me long as they tend to rust, I am sure should I win the Amc set my food quality would be taken to another level altogether….. My most memorable AmC moments was when my mum used to prepare fish curry for us in the Large deep Amc pots which was 10 years ago…. I love Sweet & Sour sauce, delicious with chicken pieces, beef, pork sausages or chops. I absolutely love what i do and its even better to share this with you! Love and passion are the secret ingredients that go into my AMC pots! I was just recently introduced to ur programmed by accident really, I love the look and concept of ur cooking show, and in a sari, well done sister! Also I sit glued to the tv with pen and recipe book in hand to take down my next venture, and tomorrow I attempt ur date crumble, being a muslim and it being ramadhan we are loaded with dates. So it gives me an excuse to experiment with desserts! I would love to win the amc pots, as I don’t have decent ones at the moment! We recently move into our new home and with all the expenses a new home brings, my pots were left for later, with everything in my home taking preference in importance, I would love to win a set and I plan on cooking a deliciously devine veiled biryani for my hubby and 3 kiddos!! I love ur show keep up the gr8 work!! Mission accomplished then! Wouldn’t you say….i just love cooking and hope that I can get you cooking too! The fresh cream almond burfee is flopr proof, and its the most delicious burfee I have ever tasted. I make very good regular burfee, but this is outstanding, a winner all the way. Hi Shabena! Thanks for this feedback! I am glad that you enjoyed the burfee….why don’t you share your burfee recipe with us too! The ladies and gents on the blog would just love it….I love trying new recipes too! Happy cooking and baking! Yudhika i love your approach to Indian food. Your recipes are fresh simple and tasty. My favourite recipe’s are the Naan Khataai and the crayfish curry. yum salivating as i type this. Also love the fact that you share facts like you stole the almonds of the Naan Khataai because I have to plead guilt here as well. Hope my mum is not reading this because my little sister always got the blame for this. My mother bought her AMC pots like 15 years ago. I was warming up the supper to serve. I mistakenly placed the lid upside down on a hot stove plate. The green bit (temp gauge) on the lid melted. She is yet to forgive me for this. I left mine in the oven once and preheated it without checking! How silly of me??? I promptly sent it off to the AMC centre and had it fixed in a flash – its as good as new again! The red velvet is really something super special – and you have hit the nail on the head about the AMC Cookware! Hi there, Ravika – great to hear from you and welcome to my little food group! Its an absolute pleasure to cook for such wonderful people! I do not own any AMC pots but I cook with the old set of pots. Disasters still happen, most of the time the biryani gets burnt at the bottom , I still have to keep an eye on the stove and pot. It would be great to own a set of AMC pots. Thank you Saffron, really loved the Almond Burfee recipe. My mum-in-law has been a fan of AMC for years and has now passed the tradition to her daughter-in-laws. The food is cooked at even temperature and retains full moisture and flavour. And now I am eager to make baby food for my little one with AMC. I always wondered how to make roti paratha. After watching Yudhika I tried making it. Yudhika makes everything look so easy to make but it took me forever and I almost gave up. However, I said to myself if she can do it so can I and I eventually got it almost right. It didn’t look as good as Yudhika’s but it was tasty anyway. My mum gave me a set of amc pots for my wedding – which she left on stage with so much pride and joy. This was 30 years ago. I use them everyday and find it difficult to cook in anything else. They still shine and look as though I got them last month. I love my amc pots. Practice makes perfect! Hope you will still be cooking in the same pots in another 30 years! As far as i can remember my mother has been cooking in amc all her life. She has sworn that it was the best investment my dad made. So much so, that mum insisted on my father buying a set for my sisters when they got married. I hope i will get the opportunity to cook in the amc range once i get married. My favourite amc moments are when we get my dad to assist us prepare for eid. Its an enjoyabke moment with us all partaking in the preparations and a very neat site on our stove displaying my mums amc cookware. I am so glad that whilst channel surfing, I happened upon Yudhika’s ‘Sugar and Spice’ programme. Her enthusiasm and confidence and easy explanations are testimony that our children will be able to enjoy traditional treats for generations to come. I love to cook and AMC has become part of my daily life as I received two AMC pots as a gift for my wedding two years ago. What a way to start my journey of cooking as a wife. Iv also been able to see further the versatility of the dishes that can be prepared in the AMC pots. It was the first time i heard of the sooji squares. When you made it it turned out do lovely. I have tried the recipe and it turned out excellent! Now you are making me think about it and salivate too! My absolute fave is the biryani! I ADORE your recipe and could eat it everyday if it was possible! Thanks so much! It is possible to eat biryani every day – just ask my kids! Thanks Shireen. Good luck with the new career!! My 16 year old daughter just knows when i don’t cook in the AMC pot. She only loves food cooked in these pots. .
Tell your daughter she is on top of her game! A colleague of my husband introduced us to your wonderful cooking. He can’t speak highly enough of you and treated us to your “Curry me Home again” recipe book as well as an assortment of your own special spices. Every recipe I have made is absolutely delicious. One of my all time favourites so far is the Roast Chicken ‘104’ with crispy potatoes. I really wish I could win the set of AMC pots. That would turn my Yudhika cooking days into an ecstatic experience! Well done with your TV show. You are making many Moms happy with trying out your wonderful recipes. Please tell your husband’s colleague I say thanks! My favorite sugar an spice recipe is almond burfee,easy an quick,no mess ,no fuss,my favorite cooking exprience wid my sister in law AMC was a pot roast,tender an divine,my disaster was burning the burfee syrup in her pot.,thanks to saffron for my quick an easy recipes. Love the recipes , many that I will try … Nankatai and burfee. Can’t wait to start eating !!! Hope you are going to try every one! Yudhika – Apart from the great show and wonderful recipes , I love your confidence level along with your great hosting skills. Wish I was onset to smell the lovely aromas. My all time favourite is the lamb parda biryani, definately trying that cuisine this eid. Thanks for sharing. We are currently cooking with my late granmumz old pots cause we do not have enough money to buy new pots although we enjoy our daily cooked meals. We watched this programme at our neighbours house and really enjoyed it. We just love the Peppered Crayfish Recipe. We would love to win an AMC pot. The Crayfish in tomatoe is a stunning recepe but I will leave the shells of the tail on for extra flavour! The electric AMC pan can be left on at no 1 to keep warm yet not overcook the crayfish so that its just right for iftaar-this can be prepared in half hour before iftaar so that when you come home from work there is still enough time to have something awesome for Iftaar! I love the lamb mince pie and the almond. Biscuits cooking is hard work with my. Pots as I need to watch and stir till the food is ready. I am always ready for the challenge. I consider myself a true Durbanite living in the most glorious city with weather that is magnificent all year round. My family and I love curries but often have to buy the naan or rotis to accompany them as I’ve always been intimidated to make them fearing that my lily white skin could never do justice to my indian friends techniques. After watching your show on making roti I decided to baptize myself a true Durban local and used your recipe to set about making our own Roti. A roaring success they have been, thank u! A good story, Sarah. Maybe you need to spend more time outdoors in your glorious weather to go from lily white to pale golden brown! The coconut cake was awesome.I love using the amc pots,there’s always a size to fit all occasions.and clean up is easy. OK its 6 days – have you tried it yet? and I am going to definitely make the red velvet cake. My kids love those brownies too! Mymom was a person who took so much pride with her cooking and even though times were hard she ensured she got a set of amc pots.She left us each an amc pot when she passed on ,one of my greatest treasures .Anything that I cook in it turns out beautifully ,just like hers. Loved the way you prepared Parda Biryani. Making cooking look so simple, and delicious! I absolutely love watching the Sugar & Spice show. All the recipes are amazing. The interesting aromatic flavours is so tantalising. 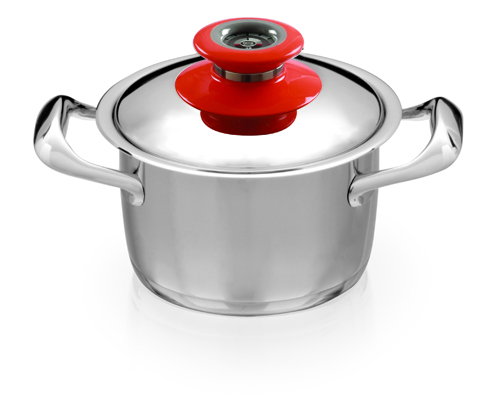 The AMC pots just locks in the flavour and reduces cooking time. AMC is my favourite. The food even tastes better, when cooked in an AMC pot. The AMC pots have a great appearance and would be the centre piece of my kitchen. I’m sure you are the centre piece of your kitchen, but I know what you mean about the pots! I like the recipe on the crayfish tail curry with canned tomato just divine with lots of dhania an black pepper hmm yummy. I am going to start an Almond Thieves Club! Tell your mom she is the best! My grandmother shares all of your recipes with me whenever we’re together. Most of our time is spent in the kitchen and that’s where I learnt to cook. We absolutely loved your lamb palou. My granny too has passed on the AMC tradition to her daughters and I too hope to make the delicious meals she prepares in my own AMC set. And maybe one day I’ll share those with my daughters too. I love your sentiment. How many appliances these days last generations? 40 years! Your husband is a gem! The new “version” of the AMC pots look stunning with their colourful handles. I don’t have an AMC pot as yet but watching you cook in them has inspired me to start saving for one.Winning one of these magnificent cooking wonders would be a cherry on the top! What are you waiting for, Charlotte – it IS yummy! Been cooking with AMC for the past 10 years. Have always had the most delicious meals from it. Scrumptious beans curry always enjoyed by family and friends. AMC always the Best and better than the Rest. Please don’t talk about bean curry, you are making me hungry! I absolutely love your show I watch it all the time and I especially love the show were you made the peppered crayfish tail as well as the lamb pizza pir,it looked amazing…I always use your cooking recipes at home…Unfortunately I’m using the normal stainless steel cookware and sad to say that it always catchs or burns underneath.I would be so excited to win the AMC cookware as it would really make a big difference in my food… Lots of love take care and am looking forward to more of your wonderful recipes. Wow,today is a first watching your programme. I always considered myself to be a hopeless cook an expert in baking though. I am a vegetarian but I am inspired to try the crayfish tails in chutney.Thanks you make cooking seem so easy and fun.will download your recipes and try them all out. If you can bake, you can cook! Get in the kitchen right now! I grew up with my mom using only amc pots. She earned only fifty rand a month yet she managed to set aside money each month to pay it off. She still uses them today and it Is her pride and joy. I hope to own my own amc pots one day. I will inherit hers one day but in the meantime I would like to enjoy cooking the way she does each day. Creamy Garlic Prawns. Mmmm Devine. Don’t own AMC pots yet. Would love to have these 2 to start with. Using my mother in laws old pots. Need some new ones. Definetly AMC. Tell your mother in law to change immediately! Thoroughly enjoyed the show. Was most impressed with how easy it is to make Chicken Korma and Burfee. Looking forward to try out these recipes. I am a regular dhal cook and am often annoyed because it sticks to the bottom of whichever pots I’ve used,until I cooked oil dhal in my mom-in-laws AMC pot no sticking and no burn taste. It was lovely!! That’s what I keep telling everybody! Favourite food would ‘Chops Chutney’. Thanks to my mum for giving me her AMC pot when I got married. When your dingy pot lid, doesn’t have a handle anymore, you know it’s time for AMC Classic Pots. Would like to try out the korma in one of those. I’ve enjoyed the mushroom and pea curry – the coconut was a nice additive. Looking forward to trying the brinjals in coconut sauce – has some of my favourite ingredients so I’m sure it will not disappoint. I just love the recipes given by Yudhika-especially loved the chicken korma recipe and the saffron and coconut cake-absolutely devine. Thanks for loving my food! Hi Yudhika, I love your shows and look forward to every episode. You always surprise us with new & delicious recipes. Your recipes are fresh simple and tasty. My favourite recipe’s are the Naan Khataai and the crayfish curry, Yummy. I have never cooked with AMC pots before (can’t afford them), but would love to own & cook in them someday. The new AMC pots look fantastic. I love your style of cooking, you are simply brilliant. Keep those recipes coming. Thanks. I have exactly the same AMC pot that Yudhika used for her garlic prawn and believe me the pot makes a big difference when it comes to taste, colour and time. I have cooked anything and everything in these pots and I call them my MAGIC POTS. I can imagine the taste of the food as the pots make temperature control quick and easy. Wonderful show, wonderful recipes and wonderful choice of cookers. AMC are 3 of the letters in magic!! I love cooking in the AMC pots for the simple reason that they are made from the finest grade stainless steel. The handles, screws and washers are rustproof.I trust the product and know that I will get a lifetime use of the pot. I’ve been using AMC for 25 years now.My biryani might scorch a little but that’s because I have been using less oil/ghee. To prevent scorching, I use potatoe slices at the bottom of the pot. My curries don’t scorch and the taste of my foods is really enjoyable.I am an an experienced cook who seldom fails in the kitchen.My biggest disaster was my first macaroni and cheese dish. It had dried out on the top and it lacked extra cheese.Since Yudhika’s tried and tested recipes are flop-proof, I tried the easiest one, chicken korma. It was moist, creamy, spicy and simply delicious. I was a bit nervous with the Pardah Biryani. I fried the onions until they were brown, but the steam and heat burnt the onions at the top of the Biryani-no train smash. The Biryani was delicious. I am going to try the Peppered Crayfish Tails because of the South Indian Style Sauce.My hubby loves South Indian Food. My parathas are now perfect, thanks to Yudhika’s step by step method.You make a medley of dishes for an Indian-themed dinner/lunch look so easy, I don’t feel the effort when I cook your recipes. They are healthy, flavorful and delicious. Thank you Saffron, for introducing us to such a talented chef. Keep watching and I’ll keep trying! i just loved your creamy prawns and soji squares, im sea food lover myself. i must say that you are the neatest cook i seen on tv, which makes your meals look even more appertising. My mum in law has a range of amc cookware and it is wonderful using amc, and the taste is better than normal cookware cooking. I’m only neat in the kitchen! Hi Yudhika. Love your show.You make cooking seem effortless. I couldn’t believe how simple your burfee and creamy prawn recipes are.can’t wait to try it.I’ve never cooked in an AMC but I’ve heard lots about it. I really would like to see for myself if all I’ve heard is true.Keep up the fantastic show. I try to keep all my recipes as simple as possible – just like me! I have used AMC pots for many years.But I must tell you of an incident.I used my favourite size pot to boil dhall.Being a working mom I gave my son instructions on what time to switch on the stove and to watch the pot.But he had other things on his mind and left the pot on the stove and dissappeared with is friends.When I got home from work there was a melted heap of metal on my stove.Happily for me after lots of drama I got hold of an agent who took this mess back and I was replaced with a new pot for the fraction of the price.I love cooking in my AMC pot. I enjoy all the recipes but the one that stands out for me is the Roti Parata and the crayfish tails.I will be trying it out soon. Enjoyed the Eid special .Cant wait to try out the recipes especially the ones found on the website.With Shravan starting the eggless chocolate brownies will definitely be a hit.Amc has been in our home for the last 35 years and i simply cannot cook anything with confidence without my Amc.The barfi comes out perfect with with not having to worry about burning. I was so surprised when i went to visit New Zealand and was taken to visit a foodie aunt and was impressed by her shiny AMZ pots.She loves them and and has both the universal and maharani sets.Amz has so many new pots now.Sugar & Spice makes it all look so easy .I am going to enjoy trying these new recipes. Thankfully the AMC range keeps growing and has me hooked! I am always keen to get the latest pots and give them a bash! AMC in New Zealand…that is awesome! When does Shravan start? Hi Yudhika, I loved the Pardha Biryani and the Naan Khatai. Yummy. Biryani is one of my favourite dishes to make. I could smell it in Durbs. Soon to try it your style. I love your sense of style. I cant tell you how hungry my neighbours get on Sugar n Spice days! keep in touch! Aarona, aren’t they just the best???? Joburg Winters are pretty cold and I stopped taking out serving dishes and just leave the cooked meals in the AMC Cookware….its retains the heat beautifully! Happy cooking! apart from your recipes, Yudhika, I love your taste in saries. you make cooking look so simple and effortless. really enjoy watching you in the kitchen-good food cooked in a few minutes. I love wearing saries! They are just so beautiful and it turns an ordinary day into an occasion! Hello Shennay! Congrats on your wedding! I wish you many happy years with lots of love and laughter! The garlic prawns and roti paratas . Its the next best thing to heaven. Have two pots for the last 30 years – meal for meal, there is no better deal. Meal for meal, there is no better deal….I like this!!! I like the nankhatai recipe. AMC pots have been used in our family for over 30 years. Only trust 1 brand of Pots to cook perfectly all the time. The cookware has been used in my family for just about 40 years…isn’t that awesome? Happy baking! Shravan starts today…. We value all the vegetarian options available but its always great to get some new recipes. Hi Yudhika! Loving your show on Saffron TV; I actually watch the channel just to catch your cooking show! Fantastic easy recipes and the AMC is just fabulous cookware! Been dreaming of having them for a while now! Thanks and keep up the great work! Looking forward to more recipes! i love your cooking programme and makes me want to impove my cooking and baking. Please give us more vegetarian recipes. Thanks Leela – you sound like my husband, always telling me to eat more veggies! I love your show Yudhika and religiously visit Spar Fourways Gardens when you there! I pre record all your shows so I never miss them. I love your Prawn recipe and I just tried out the Gulab Jamun , my hubby loved it.I will not need to visit any sweet meat stores anymore thanks to your awesome yummylicious recipe. My mum has the very first AMC pot set which she still uses till this day-I wouldn’t mind joining the AMC family. I am a crazy about seafood & loved the garlic cream prawn recipe best I ever had. Love the amc pots just as much but not in budget to get them hopefully I get lucky & win these. Love the programme keep them coming. & all the best. Thanks Vijay, those prawns are one of my favourite dishes ever! I used to use my mum amc pots wen was @ home,aftr I gt married my husband asked me why my food didn’t taste d same,I’m currently usin d normal pots n my food tends to burn under,I would really love to win these pots so that I could cook delious food again! I love cooking and baking ….and watching Sugar & Spice makes it even more exciting to be in the kitchen especially when trying all your wonderful recipes .. Love your recipe for the fresh cream almond burfee sounds like a winner when it comes to sweetmeats ,cannot wait to make it for LUXMI PRAYER NEXT WEEK 🙂 , Thank you for your Inspiration and great recipes . I simply love your shows and the recipes you give us are totally superb! My mum is the only one in her family who does not own AMC cookware and she is and excellent all rounder in the kitchen. We tried out the Parda Breyani and it was divine but, im sure if we had AMC Cookware it would have been an out of this world kind of dish:)…..
What can I tell you – AMC is the bomb! Hi yudika….I must say the soji squares and creamy garlic prawns looked divine. Thats wat AMC should stand for. Thanks for all the lovely recipes…u really make it look so simple…. Yes, the Lamb mince pies are toi die for and quite simple to make I must say. Sharing for Eid Today can’t wait for comments on my pies! Hi Until now I could only make soji cake if I found a shop that sold steri milk. But your recipe is great. No stress and it comes out fantastic. Cannot use any other pot to make my sweatmeats. Gulab jumbos can only fry perfectly in an AMC pot.